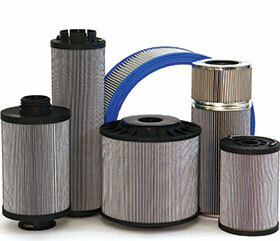 The extensive range now encompasses EcoPart filter elements for stationary and mobile hydraulic systems from the Filtration Group. These components, with defined filter performance and purity class, comply with stringent DIN and ISO standards and have all other necessary standard industry approvals. The FG EcoPart series, which includes a wide range of pressure filter and return filter elements, is available in various grades of fineness. These components are suitable for diverse hydraulic applications, as well as gear oil treatment. Filter elements are designed to reduce the solid particle contamination to the prescribed contamination class, to prevent the ingress of dirt from the environment and maintain the properties of the hydraulic fluid for an extended time period. In addition, BMG supplies FG coalescer filters, which are used in the fuel line for the efficient operation of marine diesel engines. The company also offers the design and commissioning of diesel and lubrication systems, inline diesel and oil conditioning and particle monitoring and filtration training. Optimum filtration performance, combined with lower differential pressure of the system, significantly reduces energy consumption, which is critical to maximising production efficiencies.